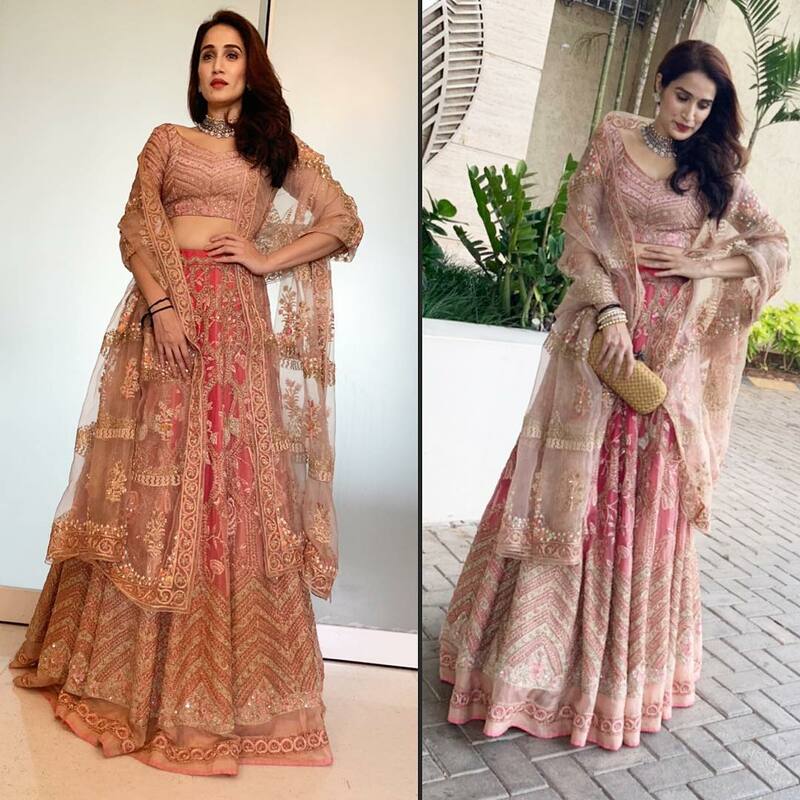 Top 9 Lehenga Trends We Saw At The Ambani Wedding! 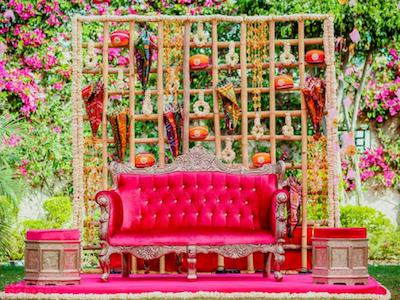 From the winter wonderland theme to color coordinating family outfits, the big fat Ambani wedding has set many big trends for this year, 2019. Akash Ambani and Shloka Mehta’s wedding was attended by all the leading ladies of Bollywood. All the gorgeous leading ladies of Bollywood came dressed in designer lehengas in different hues and designs. And, we must say these ladies have set some serious lehenga trends for not only brides but bridesmaids as well. Well, we all know that Bollywood never does anything mainstream. All the lehengas that these ladies wore were unique and beautiful in there own way. Malaika Arora is a sensational beauty and she brought all the glamour to the Ambani wedding. Her dusty rose gold lehenga, designed by Seema Khan has already set the trend for this year’s bridal fashion. The gold thread work made the heavily embellished lehenga the kind of outfit that would leave an everlasting impression on every mind. It is the perfect lehenga for the bride who loves to shine. Alia always looks beautiful and for Akash and Shloka’s wedding, she decided to twin with her mentor, Karan Johar. She wore a bright yellow lehenga for the occasion, designed by Sabyasachi Mukherjee. The hand-embroidered thread work made the lehenga subtle and beautiful. This kind of lehenga is neither too heavy nor too simple. It can be worn by the bride and her bridesmaids as well. Diana is blessed with a gorgeous figure and she became Manish Malhotra’s muse for the Ambani wedding. She came in the most unconventional and bold lehenga. 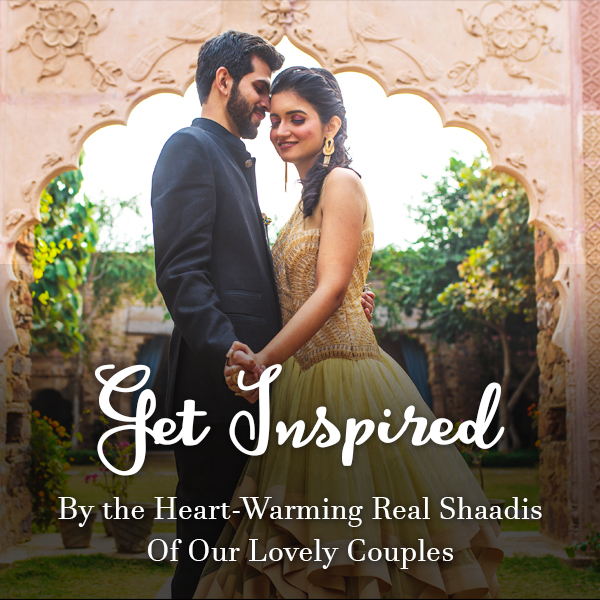 Instead of a regular choli, she wore a corset style crop top. The skirt of the lehenga had a red lining which was complemented by black sequin on the top. She ditched the regular dupatta and went for a grey, black and red ruffle dupatta. We are sure to see more black and corset tops in traditional wear now. The young starlet has already set the tone for this year’s summer weddings. She wore a fuschia pink lehenga from Manish Malhotra’s collection. The heavy lehenga had a lot of mirror and sequin work on it. 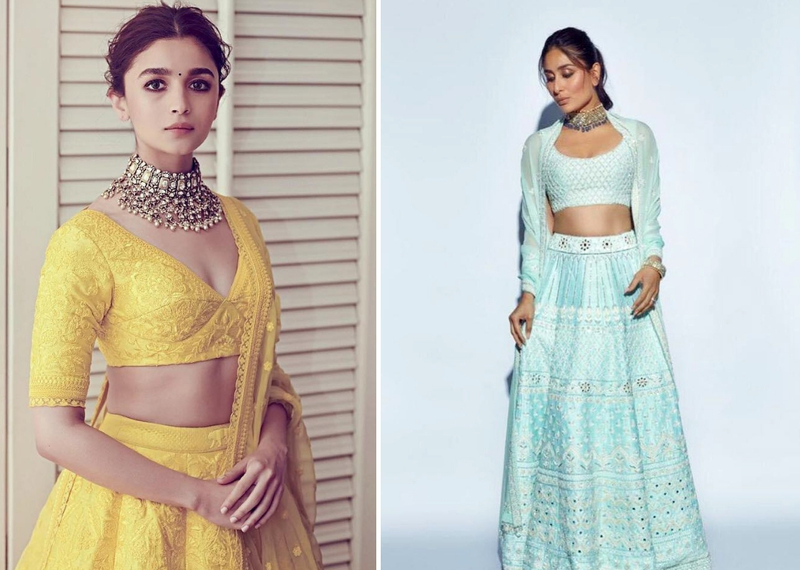 This lehenga trend will take you back in time. We guess that we’ll be seeing many brides wearing lehengas with old school embroidery on it. We are yet to see the day when Bebo gets fashion wrong. For the biggest wedding of the year, she was all dressed up in Manish Malhotra couture. She brought back the trend of light coloured lehengas with minimal embroidery. The light blue coloured lehenga had one more interesting thing that we noticed, she wore her dupatta like a jacket and we are certain that it can make a great option for bridesmaids. The proud bachelorette of Bollywood wore an Anita Dongre lehenga which gave us serious summer vibes. The pleated skirt and the V-cut blouse have given us a glimpse of what summer bridal fashion will look like. The whimsical lehenga has pockets in it to ensure the comfort of the bride. We loved the floral print on it! If you are getting married under the sun then the lehenga that Kiara Advani wore will be ideal for the occasion. Kiara set the trend of wearing champagne colour at the weddings. We saw a lot of ivory colour last season but we think that it will be the year of champagne colour. The Manish Malhotra creation was true to his brand; with a lot of heavy sequin work. This lehenga is both subtle and bold at the same time. Amitabh Bachchan’s darling daughter is looking as elegant as a queen in Abu Jani Sandeep Khosla. 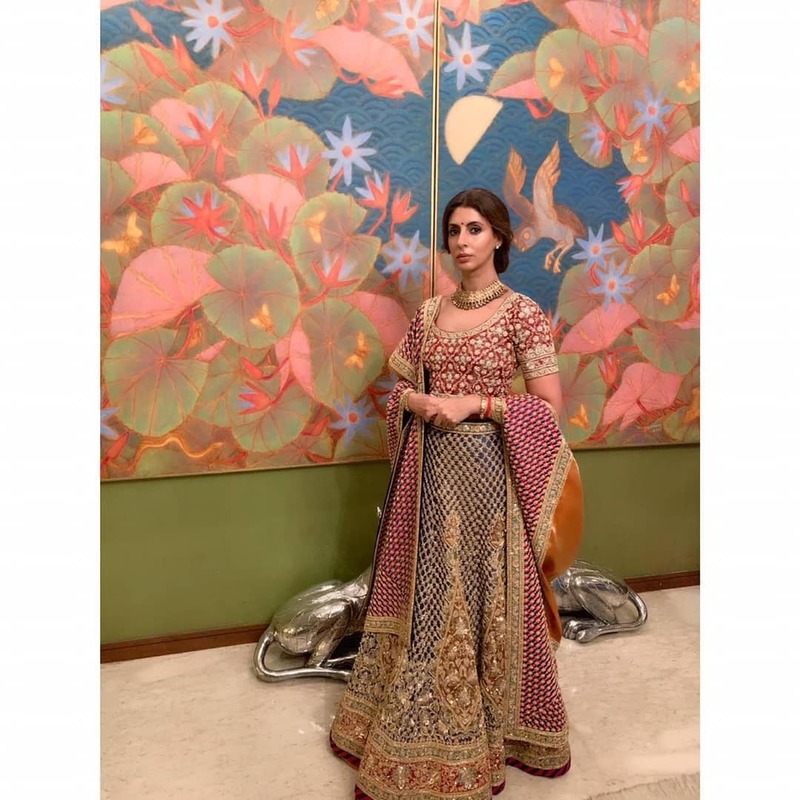 She has an understated style statement but for the wedding of Akash Ambani and Shloka Mehta, she opted for a heavy number and set the lehenga trend that every bride would love. She wore a multicoloured lehenga with all-over work. It also had a touch of leheriya and a broad intricate border. 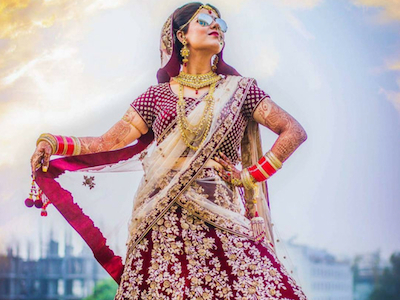 This is the kind of bridal lehenga that every woman wants. Sagarika Ghatge is an actress who loves to go for everything unconventional. She did the same in her Rahul Mishra lehenga. 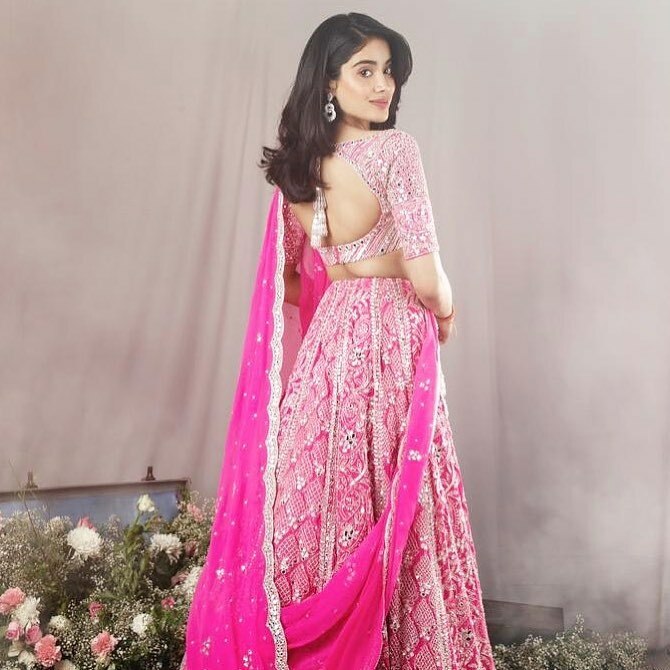 Her two-toned pink and peach lehenga looked beautiful. The unique thing about it was the use of net. Instead of a regular heavy border, the designer opted for a sheer net border. This inverted style is new and fresh. These actresses always put their best foot forward but they have outdone themselves this time. They brought beauty and new lehenga trends to Akash Ambani and Shloka Mehta’s wedding. 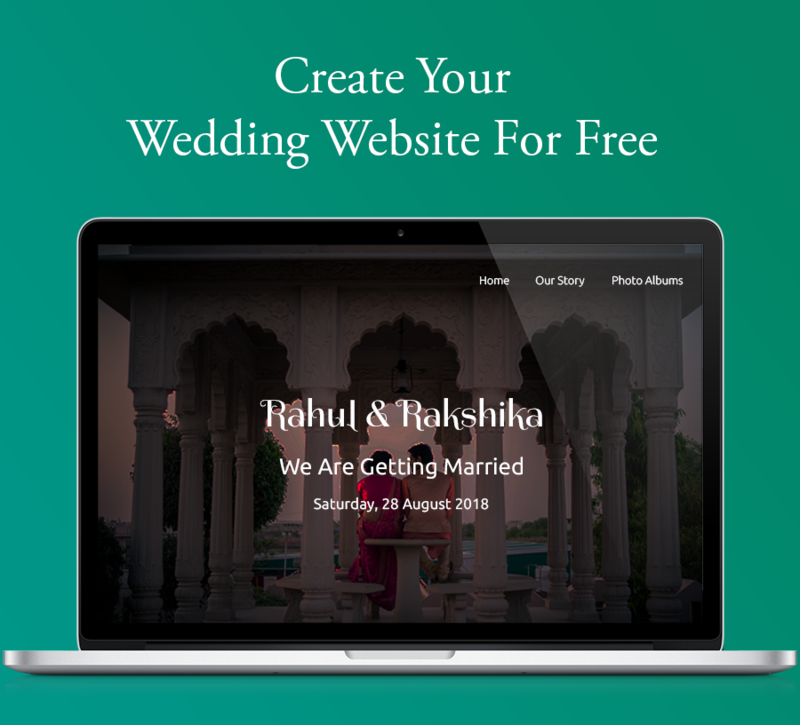 We are sure that just like us, you have also saved these designs for yourself.